Spiralling Some Magic - A Rose Is A Rose Is A Rose! If you ask anyone in our family about their favourite Italian dish, pasta would rank first followed by risotto and pizza. 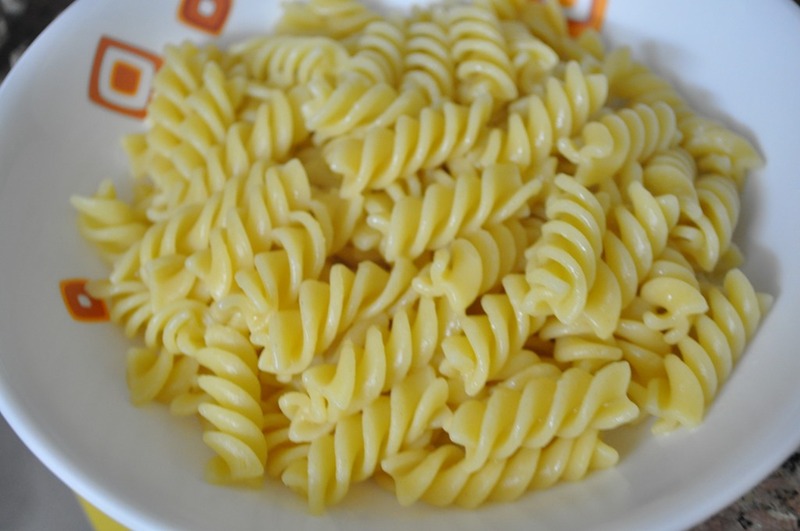 Pasta makes for a great lunch or a dinner for us. It is not only filling and nourishing but is immensely versatile and can be cooked with a wide range of ingredients. 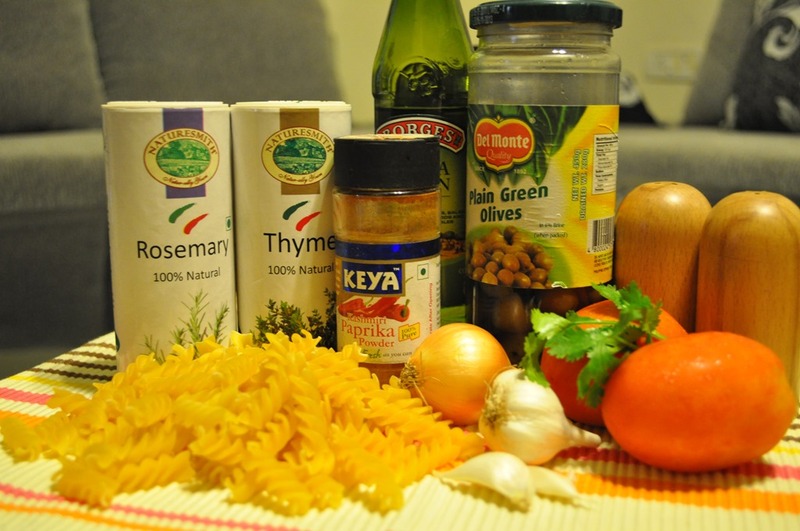 Anything goes well with pasta, right from vegetables, mushrooms, seafood, meat, to herbs and cheese. For me, cooking pasta at home not only translates into a good meal, but also gives me a holiday from cooking. Yes, KG, my husband, who is a big foodie, loves to cook up a storm in the kitchen, literally and figuratively! 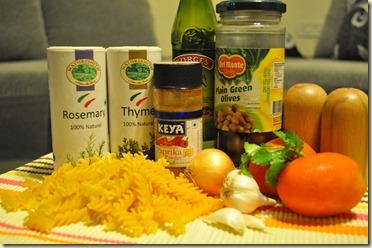 Last weekend, KG created some magic in the kitchen with Del Monte Italian Gourmet Pasta. Oh by the way, I was a part of that magic too, I was hanging out in the kitchen, sitting at the counter with a glass of wine, talking and clicking pictures as he prepared the meal. And of course, I ensured that his glass was never empty. 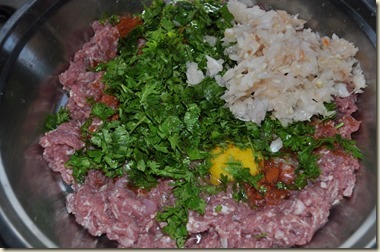 Put all the ingredients of the meatballs in a large dish. With hands scrunch and mix everything together. 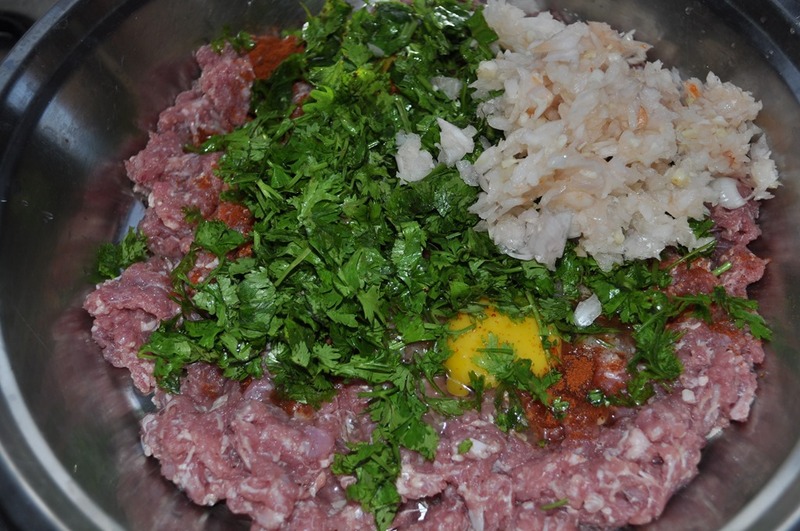 Shape the meat into desired shape and size. We made them oval shaped using 2 spoons. 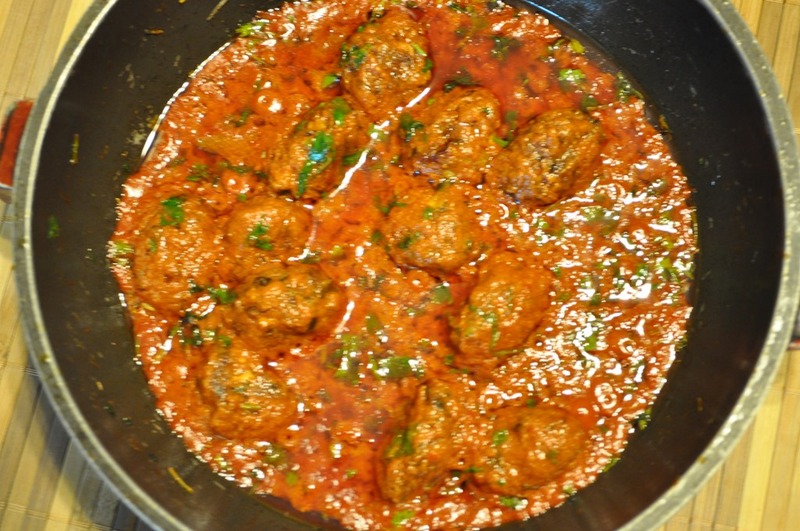 Meatballs can be shallow fried in oil or baked in an oven. We tried both the methods. Fried Meatballs : In a pan, pour cooking oil and heat it on medium flame. Drop the meatballs in the oil gently until they are brown from all sides. You may have to turn them occasionally to get that golden brown effect. 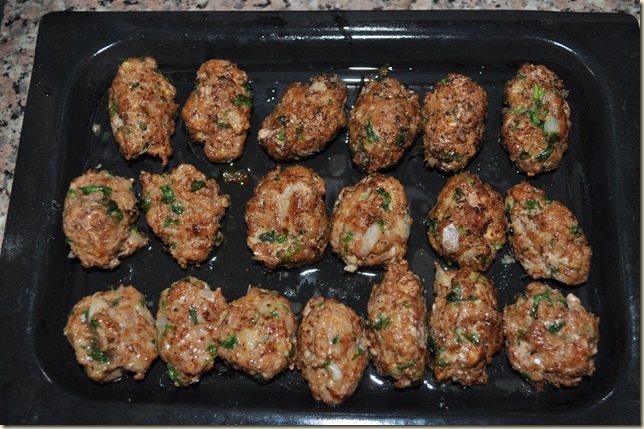 Baked Meatballs : Preheat the oven to 180 degrees Celsius. Grease the baking dish with oil. Place the meatballs in the dish, keeping them apart from one another. Bake for 25 minutes or till brown from all sides. Turn the meatballs with the help of tongs for even baking. In a large pan over medium heat, saute onion and garlic in olive oil until onion turns translucent and garlic is light brown. Add the tomato puree along with salt, thyme and rosemary. Reduce the heat and let it simmer for a 10 minutes. Add the meatballs and simmer it for another 4-6 minutes. In a large saucepan, heat water. Add one tablespoon of salt to the water as it begins to boil. Add the pasta to boiling water and stir immediately to prevent the pasta from sticking together. Cook till the pasta is firm to bite, yet cooked through. Drain the pasta immediately in a colander. 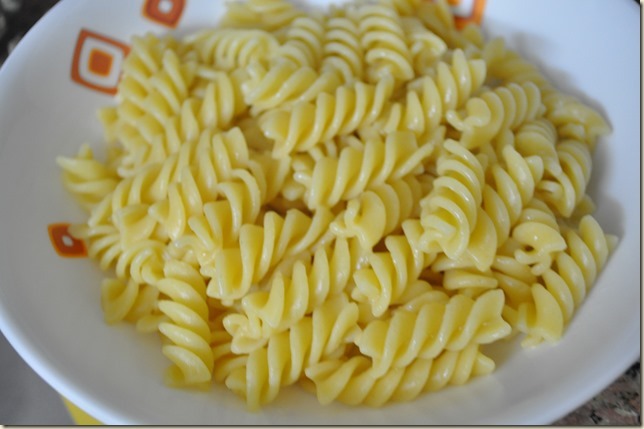 Serve the pasta in a shallow plate. 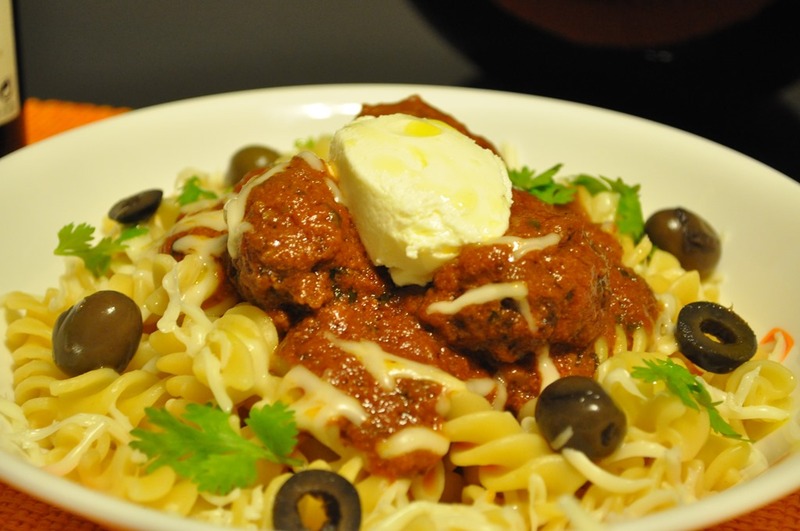 Pour the sauce with meatballs over the pasta. Garnish with grated Parmesan cheese, olives and parsley and a dollop of cream cheese which is purely optional. Drizzle some olive oil too. Aah! This tasted absolutely heavenly and yum!! 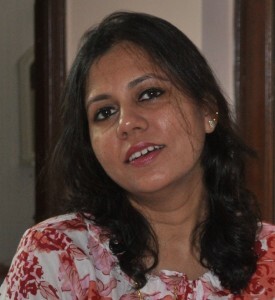 I have written this post for Indiblogger and Delmonte IndiEscapades Contest. You can check Del Monte’s Official Facebook page and stay updated for latest products and new food. Can I sub meat with anything else? Recipe sounds awesome :). 1. Spinach Balls using spinach, cheese, onion, garlic, breadcrumbs and spices. You can fry or bake them too. 2. Rice Balls using cooked rice, oats, onion, bread crumbs, milk, and spices. That answers my query too, being a vegetarian! Lovely presentation and best wishes for the contest Shilpa! You did a great job with the camera and I’m sure your husband was as good with the cooking. The food definitely looks delicious. I like the idea of a wine-guzzling chef :-). That looks so yummy and yet is so easy to make! Yummy. It is lunch time here and I am hungry. Thank for the great recipe. 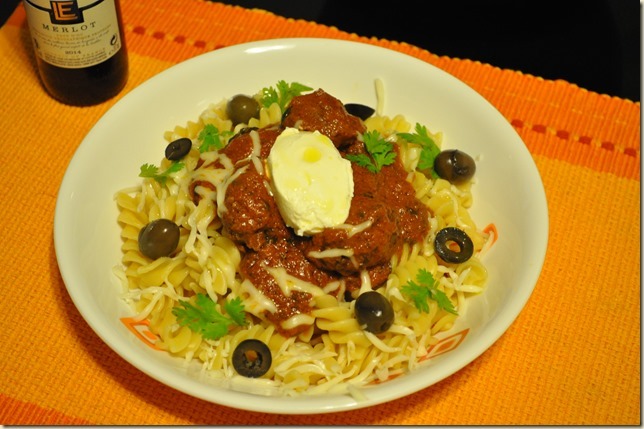 I love pasta – especially bow tie pasta with pesto sauce. Have you tried pesto sauce? Ahhh!! some day i’ll drop in at your place , and let myself be pampered with all this amazing stuff!!! Its often the case that such tempting , irresistible dishes with pictures come across when one is craving for some good food. Me and my pasta love affair! It just needed this recipe to strengthen these bonds of love and affection..
Wow! how fabulous that looks and the recipe is doable 😉 thanks for sharing! ha ha! Now that’s where my problem starts. I cook in my head and try in my imagination.